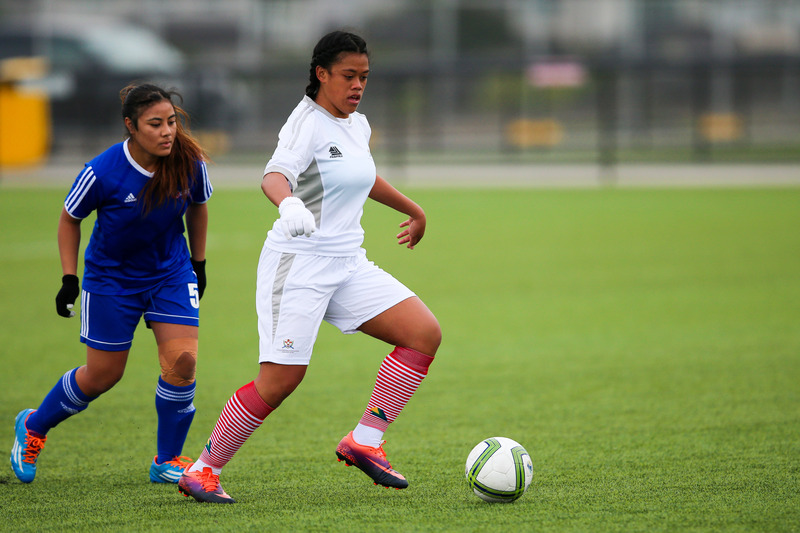 The final game of the Match Day 2 of the OFC U-19 Women’s Championship saw the traditional rivalry between Tonga and Samoa come into action, and both sides brought their best in an effort to secure some goals, and some points on the board. Tonga coach Christian Koaneti said the result wasn’t exactly what he was after, but the side performed well and have to be happy with at least a share of the spoils. “It’s not the result I was hoping for but I’ll settle for the draw. At least it is a confidence boost for the girls,” he said. “It was an even match, and we had a few close calls in the second half when the wind was in our favour. But that’s how the game goes. Samoa looked incredibly dangerous throughout the first half with Shalom Fiso showing speed and skill to keep Tonga’s backline busy. The experienced Tongan defenders did well to hold off their opponents, especially with the strong winds on Samoa’s side. Goalkeeper Mele Akolo did well with a number of long range efforts which were lifted and carried by the gusty weather, but unfortunately that hard work was undone when an own goal slipped through to give Samoa the lead 35 minutes in. The back-and-forth nature of the match continued in the second half, and with the wind having dropped off the teams were able to get a much better handle on ball. Some decent attacks came for Tonga and they were incredibly unfortunate on a number of occasions, as were their opponents. 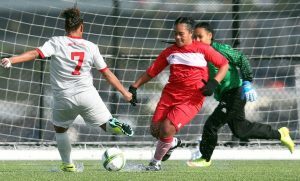 A handball in the Samoa box in the 88th minute gave Tonga the opportunity they’d been waiting for but when captain Pumu Taholo’s attempt from the spot hit the crossbar, Samoa was already celebrating the win. Samoa coach Martin Tamasese said there were no excuses for his side who had the better of the first half, but failed to capitalise. “We had a lot of chances in the first half but we just didn’t put them away,” he said. 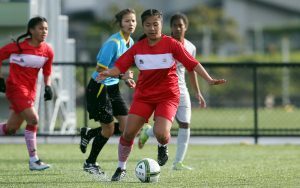 Tonga will play Papua New Guinea for their third appearance in the OFC U-19 Women’s Championship.